We seemed to be starting off Summit Point strong. 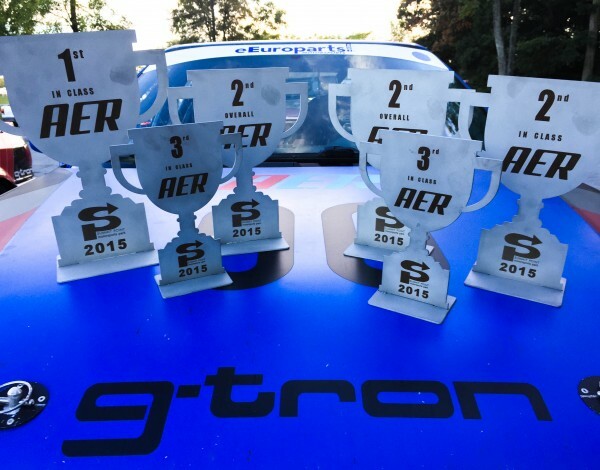 The ETD Racing Miazda qualified in Indy class and so did the G-tron cars, with the exception of Smurf, #90, which broke into the bottom of Sebring. 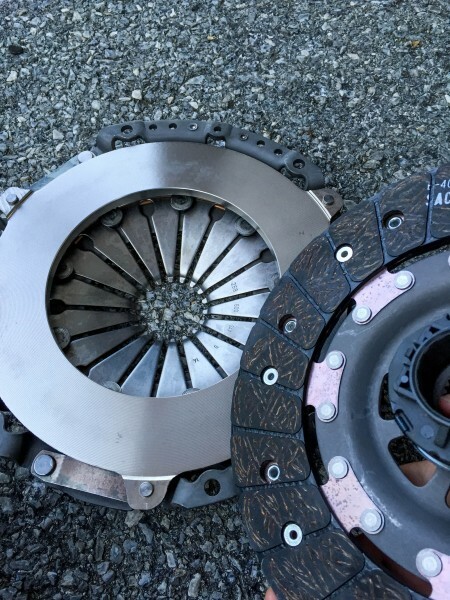 However, during qualifying on Friday, the front diff went on Mr. Freeze, #72. The problem was that we didn’t have a spare transmission and finding one for a twenty year old car isn’t the easiest. After making a bunch of phone calls, and finding a few that were both too far away and not available until Monday, I went to talk to Mark in the OG Racing store at Summit Point, knowing he really enjoys Audis and might know of a junkyard or used mk1 A4 for sale. He gave me a couple leads, but we were unsuccessful finding a transmission that would be available that day. In the store I ran into a couple of the Rally Baby guys, and they also gave us a couple leads. In the end, one of their contacts was able to connect us with another junkyard only thirty five miles away, and they would pull the trans for us and have it ready for pickup at 4:00pm. We got ready and removed the existing transmission. A case of “while I’m at it syndrome” kicked in, and we replaced the clutch while we were in there. A few drivers went to the junkyard to pick up the trans, but when they got it to the track, it was looking a little rougher than we had hoped. Somehow, there was a backup plan in effect, and a couple guys were driving two hours to bring yet another transmission, so there was some time to sit around. One of the guys was named Jason and he stayed to help get the trans in the car. He got going around 11:00pm. It was 12:28am when the mechanics and I left the track. Saturday morning during the first stint, the transmission blew. About an hour later, we saw the Miazda on a tow rope as it drove by us on pit lane. The driver told us that there were no gears or power and he had pulled off into the grass. A turn of the key revealed that we’d likely spun a bearing. With two cars down, the day was suddenly much more relaxing. 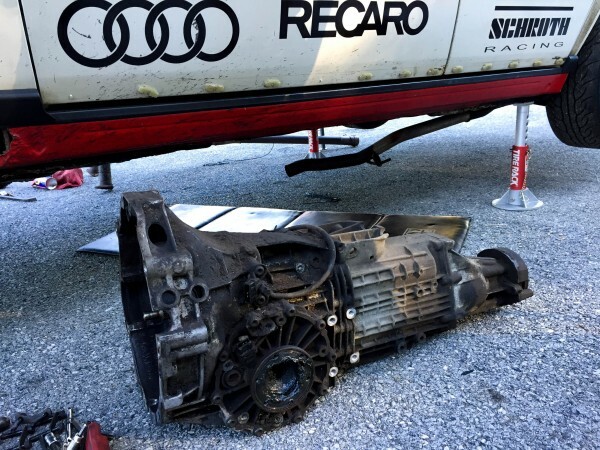 The first replacement transmission from the junkyard wound up making it into the #72 car, and it held up for the last hour and a half on Saturday and for the rest of the weekend. 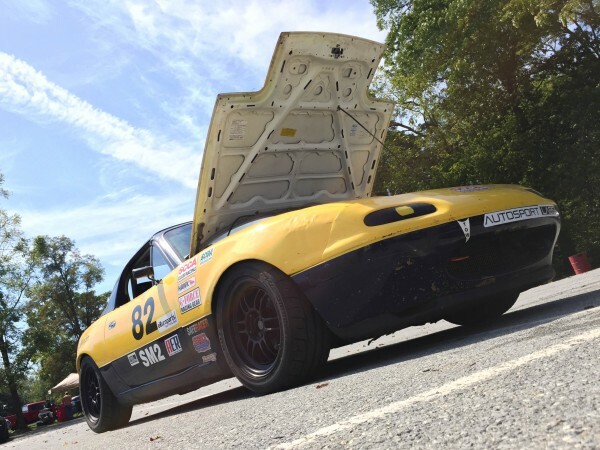 It took eighth place on Sunday after having to change brake calipers. Car #999 kept at it all weekend, placing third in Indy on Saturday only 19 seconds behind Legendary Racing. It took home first place in Indy on Sunday, but not without nearly running out of fuel in the last seven minutes. This earned Heat Miser a well-earned second place for the weekend. Smurf, #90, was consistent all weekend, taking third on Saturday and second place in Sebring on Sunday, earning another second place for the weekend.